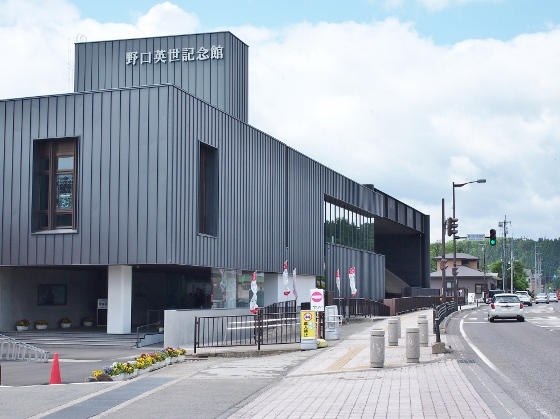 Today I visited Hideyo Noguchi Memorial Museum at Inawashiro Town. It was renewed and reopened in this April. 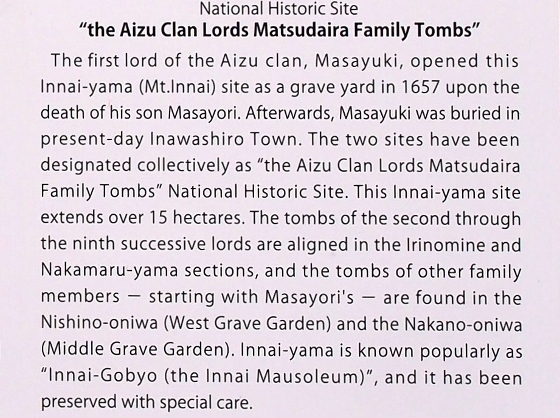 Next, I visited Aizu Lord Matsudaira Family Tombs in Aizuwakamatsu City. I saw a tremendous figure on the stone monument of each lord. Hideyo Noguchi was born in Inawashiro Town in 1876, and died in Ghana (West Africa) in 1928. He became a world famous doctor and bacteriologist. 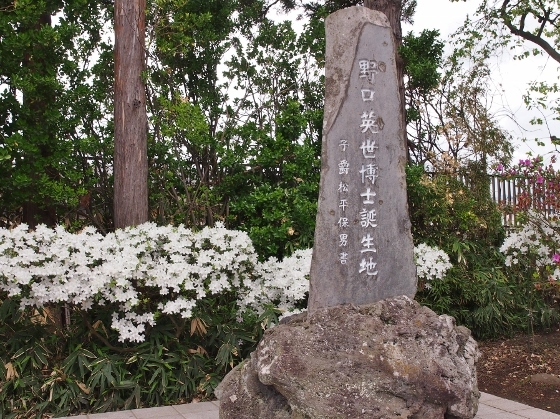 His birthplace close to the shore of Lake Inawashiro has been well preserved until today in the back of the memorial hall. 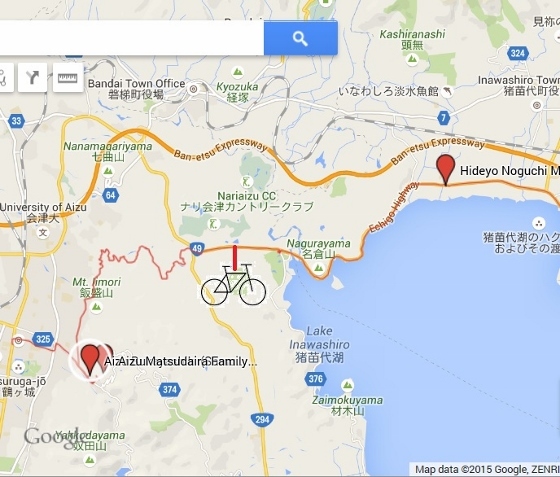 Above photos are the new Hideyo Noguchi Memorial Hall, his stone monument, and his birthplace. 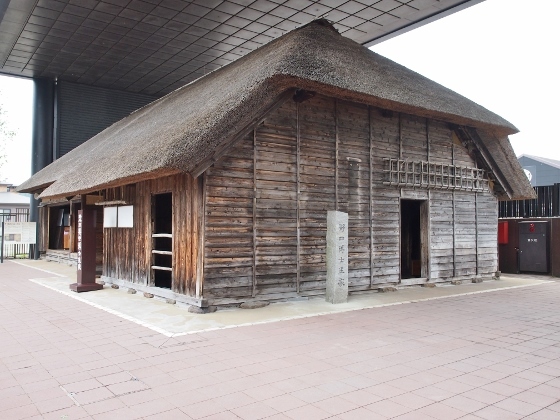 Then I stopped at Aizu Bukeyashiki where some of the old houses in samurai period were preserved. 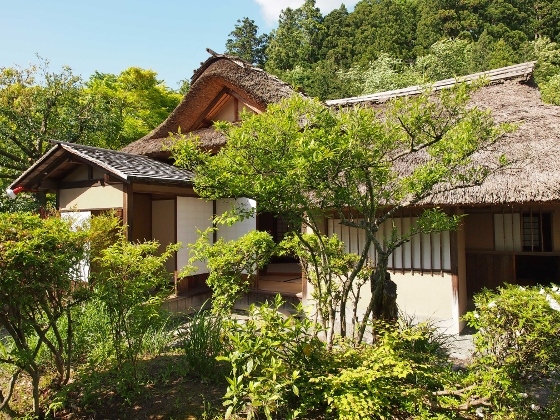 Above photo shows tea ceremony house called Rinkaku. 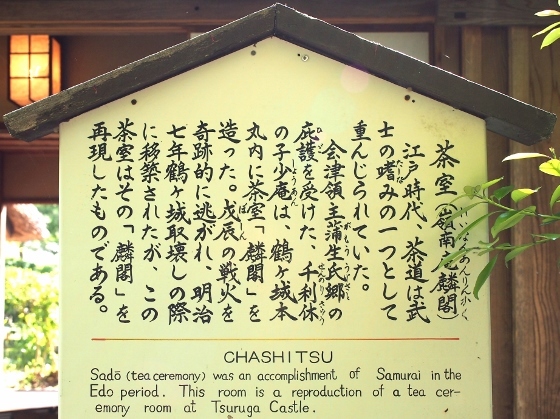 This is the reproduction of the real one in Tsurugajo Castle. The atmosphere of the house was quiet and aesthetic. 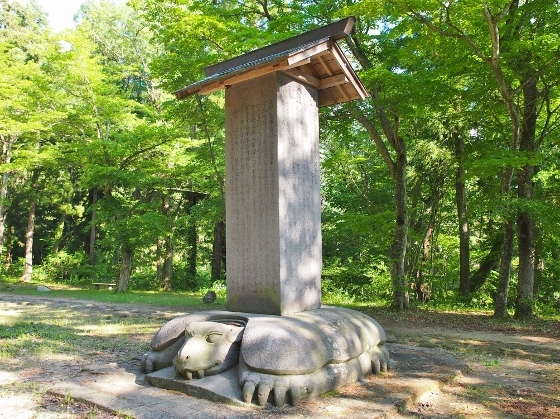 At last I visited Aizu Clan Lord Matsudaira Family Tombs in Aizuwakamatsu City. Aizu Matsudaira Family had started from Masayuki Hoshina in 1643 followed by eight lords and the last lord was Katamori Matsudaira. 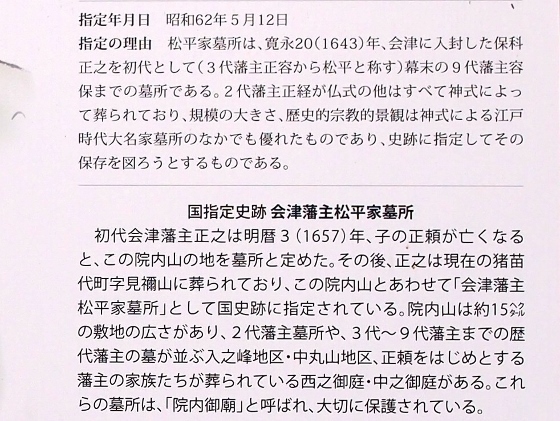 Since Masayuki was a brother of the third Shogun Iemitsu Tokugawa, Matsudaira Family was very close to the Tokugawa Shogunate. 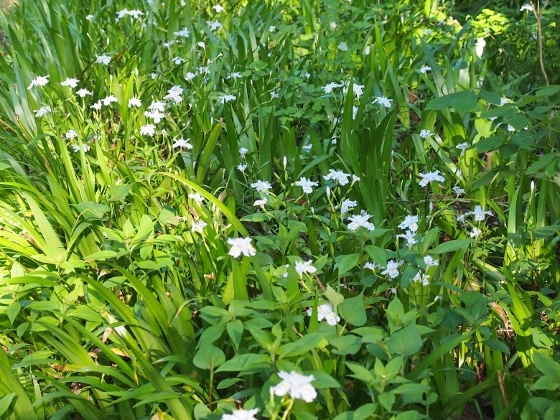 This site is designated as National Historic Site. 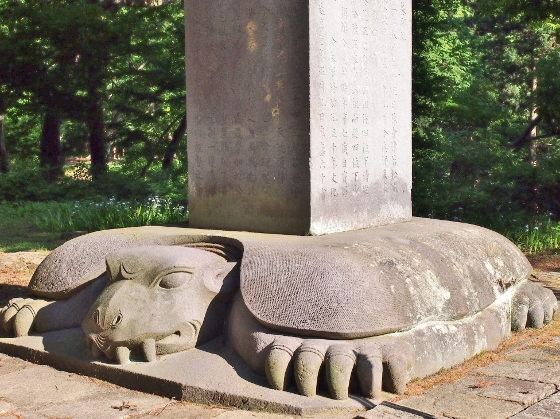 There was a very large stone figure of turtle like divine beast on the bottom of each stone monument as shown above. These were really powerful and amazing. 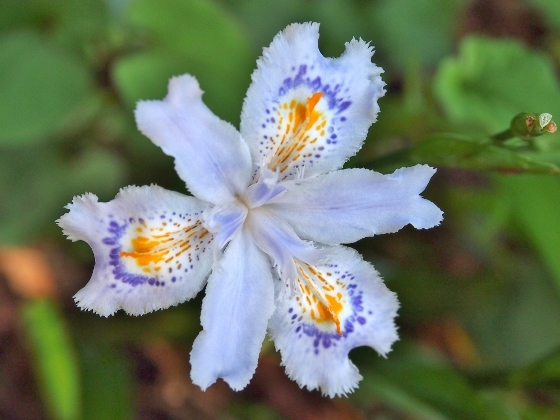 Also, the grave field was covered with full bloom of Iris japonica as shown above.